Arguments for the existence of God come in many different forms; some draw on history, some on science, some on personal experience, and some on philosophy. Others give philosophical arguments—based on morality, ancient traditions and sustenance of this planet. Each of these arguments, are successful, support a certain conception of God: the ontological argument, for instance, is an argument for the existence of a perfect being; the first cause argument is an argument for the existence of an eternal Creator; the argument from design is an argument for the existence of Creator with a special interest in humanity; the moral argument is an argument for a moral authority. The post here discusses each and every element of argument touch basing modern to advance ancient texts. And successfully proves that Krishna is indeed Supreme Bhagwan of all Universes and planets including our earth. 1.0.2 What Atheists Fail to Respond On ? 1.0.4 When Did Mahabharat Happened ? 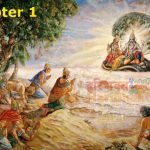 1.1 Why Krishna is God? 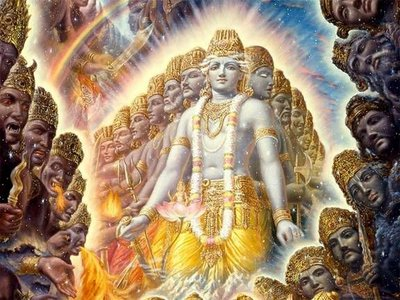 1.1.7 Supreme Creator: Bhagwan Krishna is the origin of all. 1.1.8 Supreme Controller: Bhagwan Krishna is the supreme controller. 1.1.10 Omnipresent: Bhagwan Krishna is omnipresent, meaning he is present everywhere. 1.1.11 Omnipotent: Bhagwan Krishna is omnipotent, meaning he is the greatest. 1.1.12 Omniscient: Bhagwan Krishna knows the past, present, and the future. All are Hindu by birth but became atheist later due to influence of Kali, these atheists cannot take breath without natural air provided by Bhagwan Krishna himself but still question existence of Supreme God. Lets begin explanation on existence of Bhagwan Krishna later we cover scientific, spriritual and archeological proof too. As per Vedic texts, there can be always two types of humans one who believe in God and other who believe in God but according to their suitability and comfort. So if their wishes are fulfilled then God exists and when they are unable to find any reason to solve their problem, they blame it on God. Even these so called non-believers do believe in God because when they say they don’t believe in God they lack reason why they don’t believe and even reference to the God of non-believing him is actually advocating his existence in nirakar roop. Krishna exists in all forms including basic saakar and nirakar roop. Its the karma that makes one feel that God doesn’t exist, its not you that find Krishna, its Krishna that selects you to surrender unto him. Devtas follow teachings of Krishna while Asuras follow their own instincts which is again controlled by Shri Krishna. So No one can escape Krishna’s spiritual consciousness. He exists in every thing in this world and universe. Good sense prevails and the main objective is to strengthen believers not to become more self-disciplined rather than expecting Asura centric beings to convert to Hinduism. What Atheists Fail to Respond On ? The answers to these queries is so long and detailing that this post would take more than year to finish. But mere referring the above texts with open eyes and mind can make you aware of existence of Bhagwan Krishna and how the supreme God of multi-universe and parallel worlds manages this great galactic arrangement. Most certainly, says Dr Manish Pandit, a nuclear medicine physician who teaches in the United Kingdom, proffering astronomical, archaeological, linguistic and oral evidences to make his case. “I used to think of Krishna is a part of Hindu myth and mythology. Imagine my surprise when I came across Dr Narhari Achar (a professor of physics at the University of Memphis, Tennessee, in the US) and his research in 2004 and 2005. He had done the dating of the Mahabharata war using astronomy. I immediately tried to corroborate all his research using the regular Planetarium software and I came to the same conclusions [as him],” Pandit says. Which meant, he says, that what is taught in schools about Indian history is not correct? The Great War between the Pandavas and the Kauravas took place in 3067 BC, the Pune-born Pandit, who did his MBBS from BJ Medical College there, says in his first documentary, Krishna: History or Myth?. Pandit’s calculations say Krishna was born in 3112 BC, so must have been 54-55 years old at the time of the battle of Kurukshetra. Pandit is also a distinguished astrologer, having written several books on the subject, and claims to have predicted that Sonia Gandhi would reject prime ministership, the exact time at which Shankaracharya Jayendra Saraswati would be released on bail and also the Kargil war. Pandit, as the sutradhar of the documentary Krishna: History or Myth?, uses four pillars — archaeology, linguistics, what he calls the living tradition of India and astronomy to arrive at the circumstantial verdict that Krishna was indeed a living being, because Mahabharata and the battle of Kurukshetra indeed happened, and since Krishna was the pivot of the Armageddon, it is all true. You are a specialist in nuclear medicine. What persuaded you to do a film on the history/myth of Krishna? You think there are too many who doubt? Is this a politico-religious message or a purely religious one? We are always taught that Krishna is a part of Hindu myth and mythology. And this is exactly what I thought as well. But imagine my surprise when I came across Dr Narhari Achar (of the Department of Physics at the University of Memphis, Tennessee, in the US) and his research somewhere in 2004 and 2005. He had done the dating of the Mahabharata war using astronomy. I immediately tried to corroborate all his research using the regular Planetarium software and I came to the same conclusions. This meant that what we are taught in schools about Indian history is not correct. I also started wondering about why this should be so. I think that a mixture of the post-colonial need to conform to western ideas of Indian civilisation and an inability to stand up firmly to bizarre western ideas are to blame. Also, any attempt at a more impartial look at Indian history is given a saffron hue. I decided that I could take this nonsense no more, and decided to make films to show educated Indians what their true heritage was. The pen is mightier than the sword is an old phrase but I thought of new one: Film is the new pen. Any ideas I have will receive wide dissemination through this medium. I wanted to present a true idea of Indian history unfettered by perception, which was truly scientific, not just somebody’s hypothesis coloured by their perceptions and prejudices. A documentary on Rama is forthcoming in the future. But the immediate reason I deferred that project is the immense cost it would entail. Whereas research on Krishna and Mahabharata was present and ready to go. Further more, Rama according to Indian thought, existed in the long hoary ancient past of Treta Yuga, where science finds it difficult to go. There is a controversial point in your documentary where someone Isckon monk alludes to Krishna as being the father of Jesus. How can you say that since there is an age gap of roughly 3000 years between the two spiritual giants? Is Krishna the spiritual father of Jesus? That is what the person who was training to be a Roman Catholic priest, and who now worships Krishna, asks. The answer comes within the field of comparative religion and theology. The Biblical scriptures qualify Jesus as the son of God. Most Indians have no problems accepting this as Hindus are a naturally secular people. However, then the question that arises is, if Jesus is the son, then who is the Father or God Himself? Now, Biblical scriptures do not really give the answer except to say that the Father is all-powerful and omnipresent. Now, of course, we know that Jesus does not say that he is omnipresent or omnipotent. Now, no scripture can live as an island, all by itself, and the Srimad Bhagavatam and other scriptures such as the Bramha Samhita all call Krishna as an all powerful, omnipresent being. So, if we use these words of Bhagavatam, there can be no other truth, which means that Krishna is the father of all living creation. But it does not mean that Jesus is not divine. Jesus is indeed divine. What I liked about the monks in my documentary is that they do not denigrate Jesus although they worship Krishna as God. They keep Jesus in their hearts, while worshipping Krishna. What could be more secular or more Christian? When Did Mahabharat Happened ? 3067 BC is when the Mahabharata war took place, says Dr Achar. How did he arrive at this? There are more than 140 astronomy references in the Mahabharata. Dr Achar used simulations of the night sky to arrive at November 22, 3067 BC, as the day the Mahabharata war began. He used the references common to Udyoga and Bhisma Parvan initially, and so Saturn at Rohini, Mars at Jyestha with initially only the two eclipses, Lunar at Kartika and Solar at Jyestha. Let me tell you how rare this set of astronomical conjunctions is. The Saros cycle of eclipses is periodic at 19 years and so is the Metonic cycle of lunar phases. So if I say that Amavasya has occured at Jyestha, then this will occur again in 19 years, but if I say that a solar eclipse has occured at Jyestha, then this occurs again at Jyestha only after 340 years. Add Saturn at Rohini and we take this to 1 in 7,000 years. This set of conjunctions takes all of these into consideration, but also takes all the other data into consideration. So now, we know about Balarama’s pilgrimage tithis and nakshatras, and believe it or not, all that fits the 3067 BC date perfectly. And to top it all, so does the repetition of the three eclipses described at the destruction of Dwarka 36 years later. This would explain why so many other researchers tried and failed to find the date of the Mahabharata war as it is based on such a unique set of astronomy that it occured only once in the last 10,000 years. So essentially, your thesis is that since the Mahabharata war actually happened, as confirmed by astronomical deduction, Krishna was also a living entity since he’s the fulcrum of the Great War? Not just that, but the fact that archaeology, oral and living traditions point to the same. And yes, we cannot separate the Mahabharata war from Krishna. If one is shown to have happened, then the other must be true as well. The next project is called Indian Jesus. It is already 80% complete. It is very controversial but needed to be done. Living in India convinced me that there are definitely many paths to God. Anybody who lives in India and does not subscribe to that concept should be termed intolerant, but instead the opposite is happening. There are some people today who call their God as God and mine as the devil, this is unacceptable, and I will see to it that those intolerant concepts are demolished. I long to see a one borderless world where we live in mutual respect. I cannot say much on the project but to say that I will prove that the underlying basis of religions is the same. There is talk of a banyan tree which the documentary says was a witness to the Battle of Kurukshetra, where 4 million people are said to have died in 14 days. Where exactly does this exist? Has the tree been carbon-dated to confirm its age? 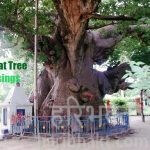 There is indeed a banyan tree at Jyotisaar in Kurukshetra which is worshipped as such. This concept is similar to the tree in Jerusalem, which is thought to have witnessed Jesus’s arrival. Carbon-dating of this banyan tree is unlikely to give any concrete answers. I have included it in the documentary to show the living tradition of India — like worship of the Ganges cannot be carbon-dated to give any answers. There is a gentleman named Ram Prasad Birbal, who said he has found many bones which are said to belong to the Kurukshetra battle. Has this been scientifically proved? Ram Prasad Birbal is a resident of Kurukshetra. I am not aware of carbon dating of those bones. But I am informed that thermo-luminescent dating of other relics as well as carbon-dating at other sites in Kurukshetra have given dates far older than the Indus valley civilisation. Further, Euan Mackie, an eminent archaeologist, had found a clay tablet of Krishna’s Yamalaarjuna episode at Mohenjedaro, a site of the Indus Valley civilisation proving that even in 2200 BC, there was a culture of worshipping Krishna. You said Hinduism spread across South East Asia in those times … how big was this religious empire? The Hindu religious empire extended across the whole of the Asian sub-continent to South East Asia, from Afghanistan to Thailand (where Ramayana and Krishna are still shown through dances), Burma, Cambodia (Angkor Wat, Angkor Thom, Bayon, etc), Vietnam, Laos (little Kurukshetra and temples), Malaysia (which was Hindu until recent) up to Java (more temples), Bali (where Hinduism is still the religion) and Indonesia, where Bhima’s grandson is said to have performed a thousand fire rituals at Yogyakarta. Afghanistan was of course home to both the Yadu race and Shakuni (Kandahar or Gandhar). The Mahabharata war did not start on an Amavasya. That is straight forward. Krishna tells Karna “Saptama chappi divasat Amavasya Bhivasyati” and says that Karna should tell Drona and Bhisma to do the ayudha (weapons) pooja on that date. But not start fighting the war on that date. The documentary is quiet crisp. I am told this is the first time you held a camera, and learnt how to shoot. How many days did this take and what was your budget? I learnt film editing first using a variety of software such as Final Cut 6 as I realised that a film director must be able to do decent basic editing to realise what to shoot, from what angles and for what duration. 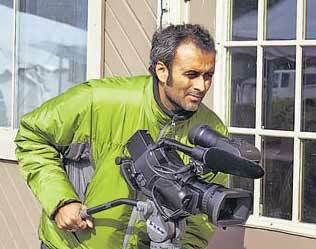 I bought a professional grade HD movie camcorder initially and then learnt to shoot before we went filming in 8 major Indian cities, the US, UK and Cambodia. However, nothing prepares you as thoroughly as filming on your own. Most of this was done with a skeleton crew, mostly handling audio. I later was funded to buy the latest Cinealta tru HD movie cameras, which are not available in India, and which I am now proficient in using. I also taught a few crew members how to shoot. Then came the task of assembling a team of professionals to do editing, graphics, voice over and all else, so that I had a team of people for my next set of documentaries. It was a steep learning curve, as I never went to film school, but it has worked out well, with people within the industry who are veterans complimenting my work. I personally think that it was all God’s grace. 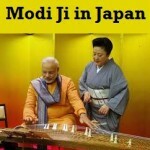 The budget was 15,000 pounds or approximately Rs 12 lakh. It took me 18 months to complete. Your documentary says India did not have a tradition of putting down everything in writing till 325 BC, when Alexander the Great arrived. How did you come to this conclusion? This is what the current scientific belief is. Although people have talked about deciphering the Indus Valley “script”, there is no straightforward conclusion about the same, so we stuck to the “official line” there. We will deal with these issues in a future documentary. 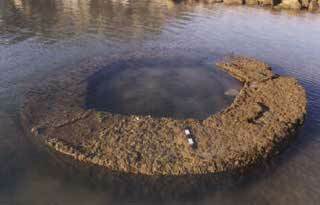 S R Rao, the marine archaeologist from the National Institute of Oceanography, found a 9th century building, and an entire city. Where was this and when did he find it?. 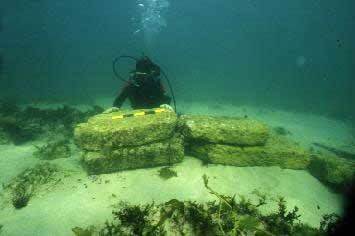 S R Rao found the sunken city of Dwarka a few years ago at Beyt Dwarka in the early 1990s. Apparently, this city near Dwarka was set up 36 years after the Mahabharata war. Is this the summation of Rao? 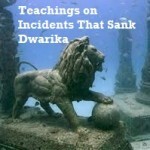 It is believed that due to damage and destruction by the sea, Dwaraka has submerged six times and the modern-day Dwarka is the 7th such city to be built in the area. Scientifically speaking, we see that 36 years after the war there were the same repetitions of an eclipse triad as we have shown in the documentary. From Dwarka to Kurukshetra is more than 1,000 km. How do you think Krishna travelled to help the Pandavas? As a scientist, I believe that they travelled on horses which would enable them to reach pretty quickly. If you consider 1,000 km, that should take him 7 days if he had a string of horses. Of course if you take faith into account, then it could happen in a twinkling of an eye. The idea that comets are harbingers of doom is well-documented. The thing is that there is a set of statements describing comets and their positions. Only Dr Achar has arrived at the correct deduction, that those sentences in Bhisma Parvan relate to comets, not planets — which is where previous researchers found it difficult. We know that Halley’s comet was seen in that year as well. *Halley’s and other such skywatchers actually used Vedic texts to re-discover comets. Dr Achar interpreted verses from the Bhism Parvan and Udyog Parvan to arrive at various conclusions. One of them is that when Saturn in at Aldebaran (Rohini) it brings great bad tidings. The last time this happened was in September 2001, when 9/11 happened. When does this happen next? Actually Saturn at Rohini is long known to be a bad omen by astrologers. Rohinim Pidyannesha Stitho Rajan Shanischarah. This transit happened in 1971 where a million or so were killed, and again in 2001 September, when 9/11 happened. The next time is in 2030/2031 AD approximately. When is the next time Mars will be in Antares? Mars at Jyestha has to be taken in conjunction with the other things mentioned by Karna when he talks to Krishna, as it occurs every year. In any case, those people were great astronomers and not just warriors, so we don’t know what the extent of their knowledge was regarding these events, In my personal humble opinion it was perhaps even better than that which we have today. Krishna existed and will always exist. But one thing is for sure those who doubt his existence would continue to roam 840,000 cycles of death and birth taking forms of tiny insects to bigger animals. You cannot escape your karmic results. Do you know God’s name, qualities, address, description, history dating back to billions of years, witnessed by millions, and proven?If you can answer these questions, only then can you truly say you know God. Otherwise you are simply living in darkness.The Vedic scriptures are the oldest scriptures in the World and the only scriptures that can answer all these questions and in detail.The Vedic scriptures completely describe God. His history, address, qualities, description, how he creates and maintains and so on. That God is Bhagwan Krishna.1. The first requirement is that the contender for the position of the supreme has been seen. 1. Seeing is believing, not seeing is pure speculation. Bhagwan Krishna has incarnated at least 9 times so far in the current cycle of creation. In each incarnation millions saw him. 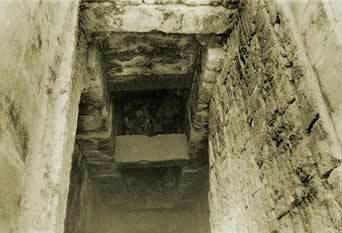 There is scientific evidence to prove that he existed 5000 years ago, as stated in the Vedic scriptures. Scientists have found the city where Bhagwan Krishna lived in Dwarka, India, as described in the Vedic scriptures. NASA has taken satellite pictures of the bridge between India and Sri Lanka that Bhagwan Krishna built in his Lord Ram incarnation, some 1.7 million years ago. Carbon dating proves it correct also stones there still float on water when thrown into river. 2. The second requirement is that the contender’s description is known. How can you believe in someone without actually seeing them or knowing what they look like? His complexion is dark-blue, like that of a rain filled cloud. His eyes are like lotus petals. He is full of bliss and his beauty excels that of thousand of most beautiful beings of this universe. He likes to play the flute. He wears a peacock feather in his crown. He wears the Kaustubha jewel around his neck. Bhagwan Krishna is complete in six kinds of opulence – wisdom, beauty, fame, power, wealth, and renunciation. 3. The third requirement is that the contender’s divinity is proven. Anyone can claim to be God, but who can actually prove it? To protect innocent people from imposters, Arjuna asked Bhagwan Krishna to prove his divinity. Bhagwan Krishna granted Arjuna divine vision and revealed his spectacular unlimited forms as the cosmic universe. Thus he conclusively established his divinity. In each incarnation, Bhagwan Krishna proved that he was God, all the details can be found in the Srimad Bhagavatam. Here we will focus on his incarnation 5000 years ago. Bhagwan Krishna performed miracles that no other being can perform. When Bhagwan Krishna was 7 years old, he lifted a mountain (26 miles in perimeter) and held it up on his pinky finger for consecutive 7 days. Witnessed by tens of thousands of people who were standing underneath the mountain. Bhagwan Krishna expanded his body into 16,108 forms. Which means he duplicated his body into 16,108 identical bodies. Bhagwan Krishna transformed himself into others. This means he can make himself like anyone. Bhagwan Krishna showed in his mouth, the whole Universe. Bhagwan Krishna granted Arjuna divine vision and reveled his spectacular unlimited form as the cosmic universe. In which Arjuna could see the various forms of Bhagwan Krishna, and unlimited Planets while being seated in one place. He was also shown the past, present, and future. Bhagwan Krishna killed all the wicked Kings who were tormenting and harassing the public. People were saved in this very life and didn’t have to wait for the Day of Judgment. When a royal woman, Draupadi, was disrobed in a court of kings, she called out to Bhagwan Krishna for help and he divinely draped her with an unlimited sari and thus she could not be disrobed. Many atheists tried to kill Bhagwan Krishna, but Bhagwan Krishna very easily defeated them all and also blessed them with moksha, liberation. Bhagwan Krishna is most merciful; he gives liberation even to those who try to kill him. Bhagwan give liberation; one does not need to wait for the Day of Judgment. Asuri atheist Putna pretending to breast feed tried to kill him but Bhagwan Krishna gave her gati (divine liberation) like deserving Yashoda mother. Bhagwan Krishna brought back to life many dead people including the six children of Devaki. Bhagwan Krishna cured diseased people including transforming a hunchback woman into a most beautiful woman in return for offering sandalwood pulp to the Bhagwan. Bhagwan Krishna has 64 qualities, which are all mentioned in the Vedic scriptures. Supreme Creator: Bhagwan Krishna is the origin of all. 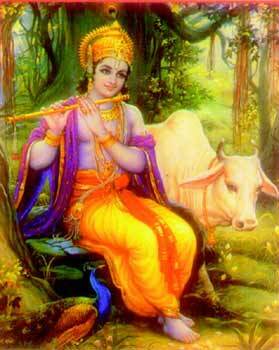 Supreme Controller: Bhagwan Krishna is the supreme controller. Omnipresent: Bhagwan Krishna is omnipresent, meaning he is present everywhere. Omnipotent: Bhagwan Krishna is omnipotent, meaning he is the greatest. Omniscient: Bhagwan Krishna knows the past, present, and the future. 5. The fifth requirement is that the contender’s history dating back to Billions of years is known. Full details on the pastimes of Bhagwan Krishna in each of his incarnations can be found in the Srimad Bhagavatam. The Vedic scriptures contain the history of Bhagwan Krishna dating back to billions of years. 6. The sixth requirement is that the contender’s supremacy is mentioned in authorized scriptures. The Vedic scriptures are the only scriptures that have existed since the beginning of time, and thus eternal and the absolute truth. There is no higher authority than that of the Vedic scriptures. 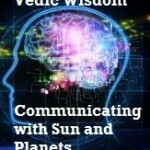 Vedic scriptures talk about billions of celestial planets and that universe is trillions of years old and Hindu texts are being in existence since billions of years, and still these texts are valid even today.The gyan shared by Bhagwan Krishna with all is time proven and factually accurate. Even today scientists, cosmologists, physicists, medical practitioners refer Vedic texts whenever they are struck in their research and experiments. Albert Einstein, Nicolas Tesla, Robert Oppenheimer and many other atheist confirmed in their papers that they referred Vedic texts and Bhagwad Gita for more insightful theories. No other religious text is ever been cited so many times in papers filed by eminent scientists of the world- who became eminent only rediscovering which is already known to mankind through these great Vedic texts. Thanks to Hinduism to keep these alive for the mankind. The position of Krishna as God is confirmed by great personalities like Narada, Asita, Devela, Parasara, Brahma, and Shiva. 7. The seventh requirement is that the contender’s address is known. The top most Planet shaped like a Lotus called Goluka Vrandavan in the spiritual universe called Vaikuntha. 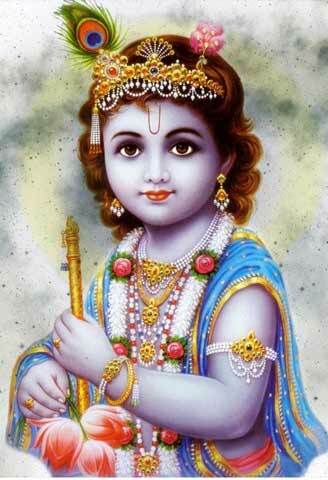 Everyone is looking for God, well here is the Supreme God, Bhagwan Krishna. Since you do not know anyone else with so much intricate details (validated even by today’s science) and proof just mentioned. Only a person who wants to blind fold himself/herself from the truth cannot place belief on Bhagwan Krishna. The link couldn’t appear, but it’s the ‘Answers in Genesis’ webpage, and it’s about ‘What is Hinduism and Hare Krishna’ and you too will be pissed off at the audacity of these people who are so sure about themselves and their religion. UN, govts is like blind Dritharashtra that fund, raise Kauravas, Kauravas are Muslims, blacks, Africans that are overpopulated delusional malicious creatures just like 101 Kauravas but heck even Dritharashtra was least dharmic compared to Kali UN, their HQ is palace built on Indraprastha,after converting it into a mosque, all human lights are Pandavas, exiled, tortured by arrival, rule of Kali yuga. I wonder when will Pandavas come back from exile to wage war with help of divine Krishna to break Kaurava arrogance? 🤔😀to Annahilate all bloody Muslims, Africans, blacks from face of earth for good. Muslims, blacks, Africans are worser kidnappers, jihadista than Kauravas ever. secondly, are we humans made of flesh and bone to decide that who is god and who is not the god. 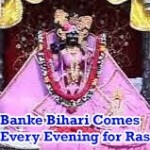 its mentioned in scriptures, and if scriptures are wrong than every thing is wrong and i am sorry, lord Krishna has tho types of worshippers the direct worshipper who worships him and those who worship demi gods(devi devta) are indirect worshipper, so no body can escape worshipping Krishna, accept the fact and concentrate on bhakti karma. dont wast your precious time and energy on mundane topics. and bholenath is always engrossed in devotion of lord krishna.and please god is not week that he requires a man made temple. he the param purn purushotam who has mad this entire vast universe , do you think that he is not capable of making a temple, lord hari says i am neither in vaikunth nor i am in temple i am in the heart of my devotee. so he is in the heart of lord shiva who is always thinking about him. we mortals have no authority to declare who is god and who is not. lord shiva is the great vaishnav devotee of lord krishna, and in upanishads he him self has told the secret to durga that he meditates at the lotus feet of lord krishna. it does not matter weather you accept or not. lord krishna is the original god. if you worship lord shiva krishna will be very happy as he likes his bhakta to be respected more. why shiva bhaktas are jealous of lord krishna i dont understand. why waste time on this nonsense baseless arguments. instead do devotional service. we the follower of sanatan dharam which means eternal religion. should not ponder on nonsense topics. and iskcon is not a cult. its just that srila prabhu pada opened the eyes of people who were engrossed in non sense worship of demigods for material benefits. do good karma. because only that will decide our future. its of no use fighting to prove who is god and who is not. many died for allah many died for ram .did anybody come down to save those people who were fighting for ram and allah. that shows our fight is use less. Bhagwan Shiv and Bhagwan Krishn is one and the same. Selfless Karma without attaching to the fruits of deeds is one of the ways to lead pious life. ……EGO and IGNORANCE are the main hurdles for the advancement in Spiritual sphere…..one may be confused and helpless ….hundreds of questions arising deep inside…..GET BLESSING OF TRUE SAINTS AND GURUS who will show the true Path of Devotion …..or else let the piece of ICE float in the ocean of confusion ,one day it will melt itself…..PLEASE do not differentiate in SHREE KRISHN,SHREE VISHNU,LORD SHIV …..GOD IS ONE YET INFINITE…..where Jiv Atma is incapable of knowing the ABSOLUTE…. Thanks for reiterating the same fact that we repeated in several posts; Bhagwan Shiv and Bhagwan Vishnu are one and the same. But in the flow of calling oneness of Vedic gods, we also suggest DO NOT EQUATE with manmade gods – allah or jesus. so, Lord Krishna appeared as Lord Narsima who saved Prahlad????? or lord narsima an avatar of lord vishnu ??? 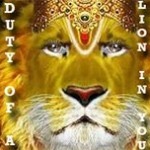 Bhagwan Krishna or Bhagwan Vishnu, you can call Narsimha avatar of any Bhagwan. Shree Krishna and Bhagwan Vishnu are same. i really don’t believe that Srila Prabhupada, the founder of ISKCON (didn’t mention ISKcon in all Puranas and vedas) ..
ISKCON calls Lord Shiva an “Anti-Vedic God” stating that he is not present in the Vedas. Ironically, ‘Rudra’ is present in Vedas and the case is different.. What is the sacred text of Hinduism? It’s the four Vedas- Rig Veda, Sama Veda, Yajur Veda and Adharva Veda. Actually, Krishna is an avatar of Lord Vishnu. 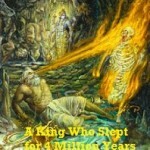 In every age, when evil becomes dominant, Vishnu will incarnate on earth to defeat it. In the Dwapara Yuga, Vishnu incarnated as Krishna in human form. He did his Karma and died. Even there is a story behind that. Rama, the previous avatar of Vishnu killed Vanara King Bali by cheating. Knowing that what he did was wrong, Rama said, “you will kill me the same way, while I’m not aware of your attack, in our next life”. Just as he said, Krishna was the reincarnation of Rama and while he was sleeping in a jungle, a hunter (reincarnation of Bali) shot Krishna with an arrow thinking that he was a deer by just seeing his feet. Thus the law of Karma is even applicable to Gods in human forms. Krishna died, but Vishnu still lives. Because he is timeless like Lord Shiva. Para-brahma is the “highest Brahman,” beyond all conceptualisations. In Advaita Vedanta nirguna Brahman, Brahman without qualities, is Para-Brahman. para-Brahman or the Supreme personality of Godhead. purpose of the cosmos is mergence of the created drop with the ocean that is its Mother…. All Puranas OM word Mentions in All Puranas…..
Om ( para-brahma) is Supreme God..
“Om namo bhagwate vasudewaye” may bless you.. Many Krishna devotees believe that ISKCON is one of the biggest frauds ever to happen with Hindus. The reason being billions of rupees of funds collected from Hindus here are ploughed back to US headquarters. But in doing so they are spreading Krishna’s teachings through Srimad Bhagavad Gita. ISKCONians believe that out of too much love towards Shree Krishna they belittle prominence and existence of other Bhagwan. It is 100% true that Shree Krishna and Bhagwan Shiv are one and the same. Which ISKCON does not believe. God has a form, Lord Krishna or Lord Shiva or Lord Vishnu, there are all forms of the One God. i dont want any fight between two bhaktas or sadhakas or followers. but if you follow bhagwad gita then dont tell any other deity is same as krishna. i follow achintya bheda-abheda vedanta of lord chaitanya who is krishna himself. 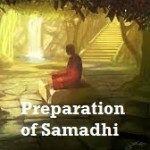 this vedanta applies to all things and this vedanta covers every part of vedas and upnishadas. lord brahma is vibhuti of krishna but he is not equal(in every aspect) to krishna in this way we find achintya bheda-abheda . in bhagwad gita lord krishna said that soul is his amsa,individual souls(sun rays) are equal in quality with krishna(sun) but not in quantity in this way we find achintya bheda-abheda. also in the same way we can take example of sun and sunrays. i dont saying to accept this but at least dont create contradictions to bhagwad gita.if you say all deities are one and same in all aspects then you are actually not following bhagwad gita and saying against lord krishna’s words. Firstly apologies fr my ignorance.. As u mentioned dat iskconians doesn’t believe lord Shiva and lord Krishna as same OK let dem belive as per their conscience.. Bt d point dat Krishna is supreme v cnt deny bcoz bhgwad gita is d creation of lord Krishna himself and nowhere in bible it has been written dat Jesus is god, bcoz Jesus depicts himself as a son of god.. 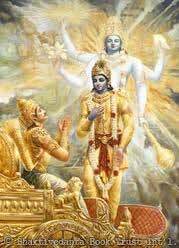 Moreover in gita only it has been pointed out DAT supreme god is omnipotent and so lord Krishna is.. such a statement is neither in bible nor in quran.. And m nt an iskconian pardon me for my ignorance regarding any points..
bhagwan shiva is the supreme lord of all. Heartfully thanks 4r your reply to my comments sir. As u said if Bhagvan shiv & Bhagvan Vishnu are same, then how could u say sir that Bhagvan Krishna is supreme god when Krishna himself says he is avathar of vishnu. I don’t understand really wht u mean sir. And I was totally confused & also surprised tht in “Srimad Bhagavatham” it was written like that? I see Mahabharat no. of times coz of Krishna. The purpose of krishna birth is to establish the Dharma.God means positive, purity. No second thought in it. Even i beleive the same of Krishna. Coz he is god. Some pple r saying Krishna is the only supreme god(ultimate) & if pple pray other gods then it is indirect path of reaching supreme god krishna. Krishna told that? or misunderstood the source Scriptures while decoding? I don’t want to hurt any one & all my opinions or questions above r true with my open mind. Bhakts of Shree Krishn call him Supreme Bhagwan similarly Bhakts of Bhagwan Shiv respect him as a Supreme Soul. Bhakts revere their Bhagwan out of love and respect. The selfless love conveyed is not to subdue importance of other Gods. There is no such intention of the Bhakts. We do not object to Vaishnavs calling Shree Krishn as Supreme Being neither to Shaivas revering Shiv as Supreme God. Everyone has right to convey love towards God the way they want. Vishnu Puran reveres Bhagwan Vishnu as Supreme Personality and Shiv Puran does the same with Bhagwan Shiv. Thts great, I dont see my posted comment. Hope it was not approved to post. Again I an saying Lord Krishna is the incarnation of Tridev Vishnu. No second thought in that. Never Krishna or Vishnu or Shiv or any god says “worship only me & not other gods”. Do you accept this? Iam expecting your answer to this question here. So tht every one will see publicly. Have patience, we approved and replied to the comment. We do moderate as many anti-Vedic mlecchas use abusive comments in the posts. I believe krisha as god & pray. But iam not a fool to believe tht vishnu,Sri Ram, Parasuram,Vishnu,etc r incarnation of Lord Krishna. But I believe all(even krishna) are incarnation Lord Vishnu. I strongly believe the person who wrote the Srimad Bhagavatam is blind diety of God Krishna. So he/his devoties tries to tamper the vedic texts to prove only Krishna is Supreme God & other gods like Shiv/Bramha are below him. If Krishna/Narayana came to knw about the below words said by you, he will punish you. He never says to worship him only. If i worship Lord Shiv & believe he is absolute truth then Narayana punish me?You educated fools. This says ur inability to decode the scriptures properly. For ur information, even Hindu religion also created by some educated fools. There is no religion. Just god showed how to live like sanathana dharma. Later ppl made it Hindu religion as islamic & christinity done later. This iskan ppl try to tamper the scriptures. I pity on them. Do n’t jumpt the gun, read our other posts carefully, we clearly said Bhagwan Shiv and Bhagwan Vishnu are one and the same. Moreover, you are one person who ignorantly has audacity to challenge sanctity of Srimad Bhagvatam. And when arrogance creep into knowledge then no use in debating with such person. Please have open mind, we also said that Shiv is Mahadev – God of Gods in so many posts. Please do not see Bhagwan Shree Krishna’s divinity with human embodiment, he is beyond humanly limitations. Shree Krishna resides in different forms in Vaikuntha Lok and other elements of this Universe. That is why he is called omnipresent and omnipotent. We with limited human body and ability have restriction to have presence at one place at a time. Bhagwan Krishna can take any roop and form in any place. Kansa was killed to teach us morality. Bhagwan Vishnu take avatar to establish dharma and annihilate adharmis (Kans, Duryodhan and other evil beings). The Krishna Leela also teaches us how we should lead our life. Without taking avatar, imparting such great knowledge about life to innocent people is impossible. Please, try to feel your soul, then you will find your answers in you. The ALLAH AND Jishu KHRIST and othe religions say they are the messenger of the God. But, in Hindu religion, God himself appeared in this land to bless the people. Lord Jagannath specifies all religions in his statue.. Buddhism, Jainism, and all monks reached Puri, Odisha to find the answers which you want to know. Thanks for the feedback. Its only our Vedic way of life – Hinduism that clearly talks about soul, explaining fruits of Karma, re-births and elevation of soul to higher planets. The so called prophets or messengers divided the human race into different sects of people. They did more harm. While Vedas talk about “Vasudev Kutumbkam” …other religions like christianity or islam dictates to their people that their religion is greatest. This self-proclaimation is nothing but farce logic to enslave people with fear pshychosis. Hinduism is the most ancient, eternal and time immemorial path to stay alive in this material world and get elevated to higher planets. We are also very proud to be a Hindu and pleased to be following Vedic principles and culture. Please read the posts and share the web page links on twitter, facebook, Google+ with your friends. We all should spread awareness of our great past among our new generation, people.